Can’t make it to our “Confident Girls Summer Camp?” This weekend “crash course” will be an abbreviated version. Camp will be 8 hours total during the tentative days of Saturday April 25 and Sunday April 26. Time of day is TBA. Potential topics covered will be self-esteem/confidence, communication, friendships, and coping skills. Girls enrolled (current 6th, 7th, and 8th graders) will have an opportunity to learn, discuss, and practice each topic while interacting with each other. Cost for the weekend course is $160 for 8 hours. If interested, please contact Katie(katie@katieovercash.com) or Lynne(lynne.beck@live.com). Interested in a “crash course” for your own group? Contact Katie and Lynne for more information. This entry was posted in Uncategorized and tagged Adolescence, adolescents, Body image, calming tools, Camp, Charlotte, Charlotte North Carolina, communication, confidence, confident, decision making, friendships, self-esteem, social media, teens on March 20, 2015 by katieovercash. It is so important for young girls to be confident in themselves and develop a healthy body image, especially with the ever-changing societal pressures, social media images, and access to technology. This “Confident Girls” group for rising 7th, 8th, and 9th graders will assist girls in enhancing their self-esteem and address topics including: expressing feelings, decision-making, conflict resolution (dealing with “mean girls”), body image, friendships, coping strategies, social media, and communication. Girls at this age tend to struggle more with personal relationships than their male counterparts. Girls who have high self-esteem feel secure and positive about themselves, confident in their ability to achieve goals, express their feelings, make positive choices, and care about others. During this weeklong group, girls will learn about, engage in discussions, and practice these skills while interacting with their peers. A yoga and meditation session will be included one afternoon as well as mindfulness practice. They will also have the opportunity to provide and receive feedback with their peers in a therapeutic setting while earning rewards for prosocial behavior. Facilitated by Katie Overcash, LCSW and Lynne Beck, LPC who have over 20 combined years experience in the mental health field in various setting such as school, residential, and outpatient. Both licensed therapists have years experience running these groups/camps and currently own outpatient mental health businesses, Overcash Therapy Services, PLLC and New Journey Counseling respectively. Participation in the group includes 17.5 hours of direct contact with both licensed therapists and a 30 minute parental consultation at the conclusion of the week with either Katie or Lynne. Space is limited for more individual attention, so register now! Cost of the group is $350 with one partial scholarship available. Contact Katie or Lynne if interested in the partial scholarship. Confident Girls for Adolescents will be held Monday, July 20th through Friday, July 24th from 1pm to 4:30pm at 1100 South Mint Street, Suite 108, Charlotte, NC 28203. Click here for Summer Camp Flyer. This entry was posted in Uncategorized and tagged Adolescence, Body image, bullying, calming tools, Camp, Camps, Charlotte North Carolina, communication, confidence, confident, Conflict resolution, coping skills, decision making, expressing feelings, friendships, mean girls, meditation, mindfulness, self-esteem, social media, yoga on February 26, 2015 by katieovercash. Empower You presented by Yoga Instructors Jennifer Busco ERYT 500 and Dorie Fusaro ERYT 230 of Yogirl and Mental Health Therapists Katie Overcash, LCSW of Overcash Therapy Services, PLLC and Lynne Beck, LPC of New Journey Counseling is a 2 hour workshop for adolescent females(12-17) focusing on confidence, self-esteem, and inner strength building. This workshop will be held at 1100 South Mint Street, Suite 108, Charlotte, NC 28203 on Sunday, June 29th from 2pm – 4pm. Cost is $35 and preregistration is required filling out the form and paying below. This workshop will assist adolescent females in acquiring the tools needed to cope with everyday life through yoga and therapeutic processing. Jennifer and Dorie will teach the girls the physical asana(movement) which helps them connect to their physical body and lends itself to self-acceptance. Teens will engage in breathing exercises that are integral to a physical yoga practice but transcend into living coping skills. Meditation will vary in methods of visualization, relaxation, and intention setting. Katie and Lynne will lead the girls in therapeutic processing of the inner tools possessed by everyone needed for healthy self-esteem based on Virginia Satir’s methodology. 1. Fill out this form here. This entry was posted in Uncategorized and tagged Adolescence, adolescents, Charlotte North Carolina, confidence, coping skills, girls, inner strength building, self-esteem, teens, therapeutic, workshop, yoga, yogapeutic on May 13, 2014 by katieovercash. 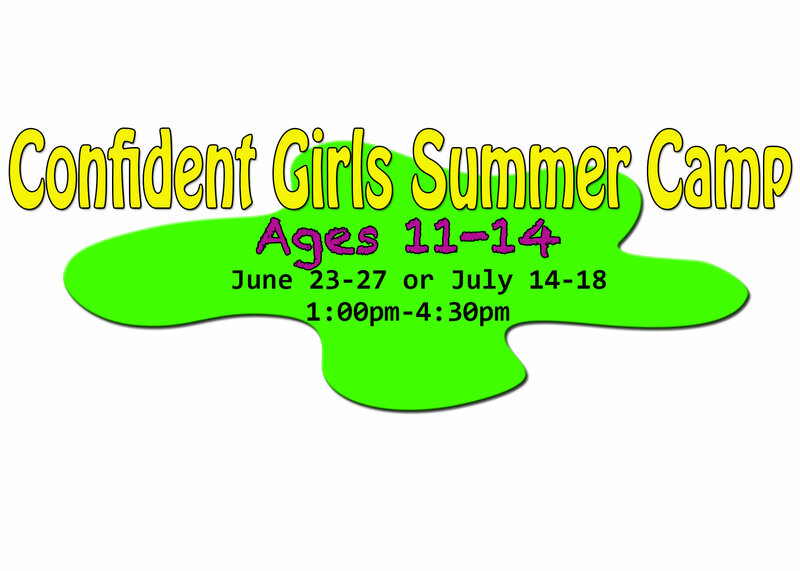 Due to popular demand, Katie Overcash, LCSW and Lynne Beck, LPC are please to announce that “Confident Girls Summer Camp” is back in 2014 and now offered on 2 different dates. If interested in more information about our “Confident Girls” Summer Camp in 2014 please click here. Look for our ads at Charlotte Parent Online Camp Fair and South Charlotte Weekly. This entry was posted in Uncategorized and tagged Adolescence, adolescents, Body image, Charlotte North Carolina, communication, confidence, Conflict resolution, coping skills, decision making, girls, life skills, making friends, Peer group, peer pressure, recognizing emotions, recognizing feelings, self-esteem, Summer camp, teamwork, working with others on January 31, 2014 by katieovercash.